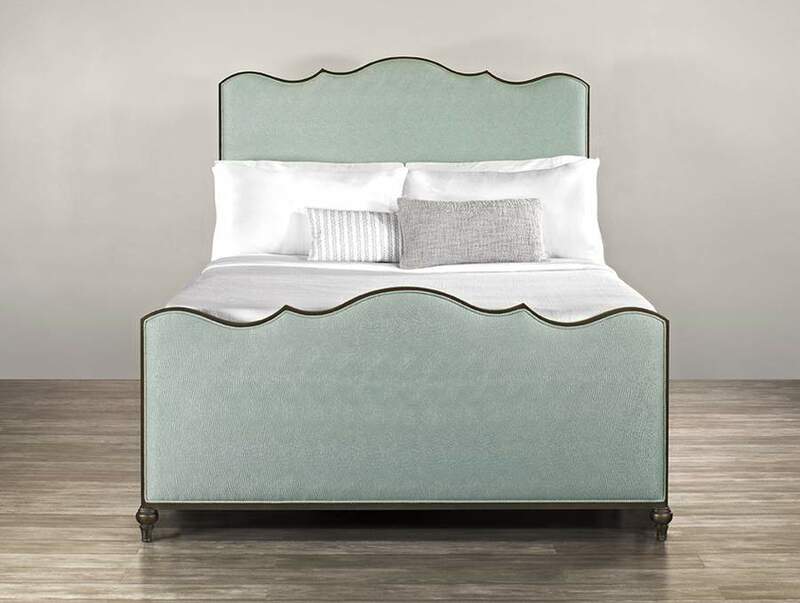 Gentle peaks and curves along the edges of the Evans iron upholstered bed define the structure, forming playful lines reminiscent of gentle ocean waves lapping at a distant shore. Wide panels of upholstery offer a swath of contrast, flowing down to charming feet capped in textured globes. The smooth lines of the high headboard connect perfectly with the matching footboard, forming a harmonious tribute to captivating bedroom décor.